Tip: With a fractal image of this detail, it is helpful to expand the window size to 400×400 or even larger before you start looking for random color maps. I left the window at 200×200 for this lesson so that they would fit better on the web page. Now, suppose at this point I decide I like the coloring of the trap one region (the region that was red in the first image), but not the trap two region…I just don’t think the trap region #2 color map looks good with region #1. If I hit the “Randomize” button again, I’ll change the color maps for both regions. Are my choices only to search until I happen to find a good coloring for both regions at random, or else to edit the region I don’t like manually with the Color Map editor? 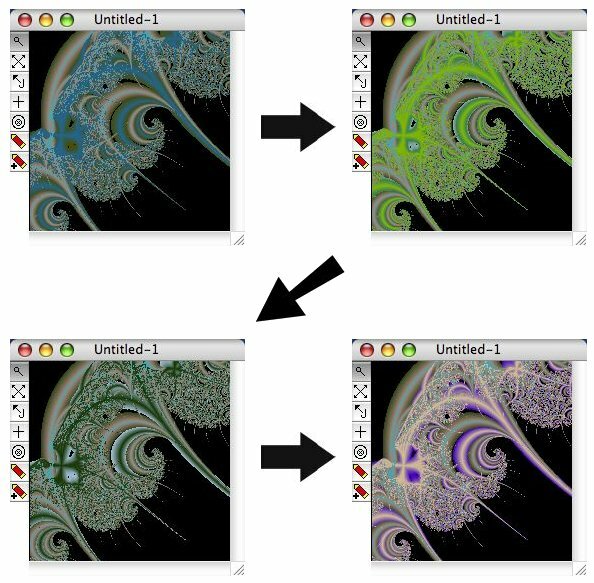 Use the Randomizer window to help you search for a good color scheme for your fractal image. Use the “Randomize All But Exterior” setting to exclude the background (unless you want to search for a different color scheme for the Exterior region, of course). Use the limits on color breaks to limit the number of colors to a pleasant range for the regions you are coloring. Small numbers work best for orbit trap regions. 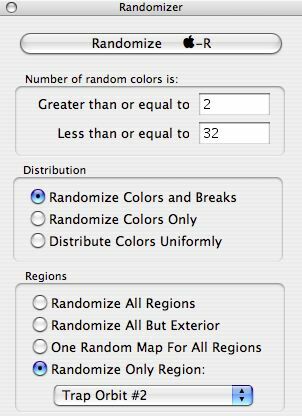 Use the “Randomize Only Region:” setting when you need to focus on one particular region. 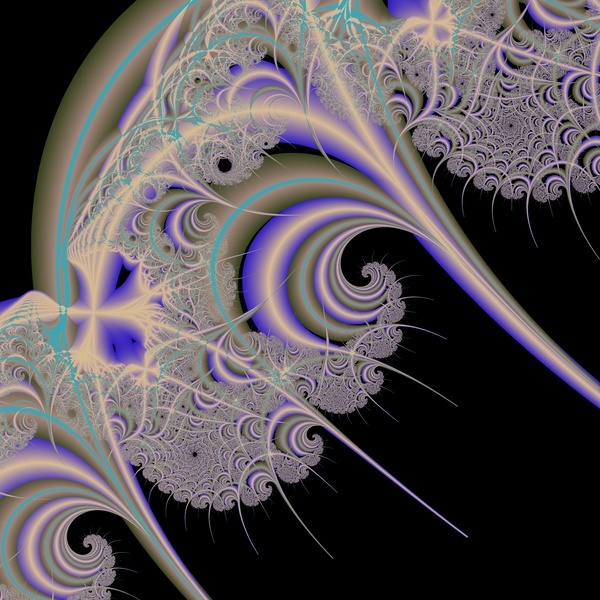 Try these tips out on some Julia fractals you generated in the previous lesson. Then you will be ready to try out these techniques on the greater variety of images you will be able to create after learning about Rational fractals in the next lesson.